By Ken Isaacs, Vice President of Programs and Government Relations for Samaritan’s Purse. On April 25th, a major earthquake hit Nepal, killing over 8,000 people and leaving more than 2.8 million people displaced. Today at about 12:35 p.m., the ground started to shake again. At first, it felt like an aftershock. It soon became evident that it was much more. We were in the middle of a 7.3-magnitude earthquake. Trees were swaying. Buildings were swaying. Electric wires were swaying. People ran out into the streets to get away from the buildings. Samaritan’s Purse staff came out of our office. We got between buildings where we felt we had the greatest odds of survival. For the next several minutes, we felt like we were standing on a block of Styrofoam on a windy day in a choppy lake as the ground heaved back and forth. When the shaking stopped, we immediately began to account for all of our team members that were traveling in multiple places in the country. 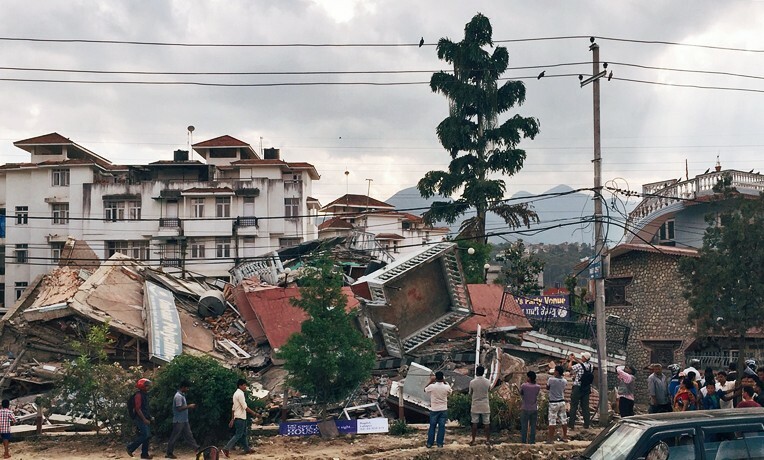 Three teams were east of Kathmandu, in the same district where the epicenter of the second earthquake was located. We were able to make contact with everybody within about 40 minutes. We thanked God that all were accounted for and safe. But being accounted for and safe doesn’t mean that all was well. The three teams near the epicenter had witnessed a traumatic geological event. A mountain ridge ruptured open and massive landslides happened in close proximity to them. The second quake triggered landslides and added to the misery of people still reeling from the first disaster. Thankfully, it did not hinder our relief efforts. As I write this update, we know that they’re safe and they’re calm but they do not have a way out by ground. They are hunkering down tonight. We are planning to extract them in the morning by helicopter, and also deliver urgently needed emergency supplies to the areas where they had been assessing remote villages that are now suffering even more. The damage from the second quake is widespread. Less than 10 minutes from where I’m sitting right now, a three-story house collapsed, trapping the people in it. There is an on-going rescue operation going on in the night, being conducted by the headlights of dozens of cars, as the electricity is off in that part of the city. Across the street from that, there are several multi-story buildings that are now leaning against each other and will have to be demolished. The official death toll is currently in the dozens, but we have gotten reports that it exceeds 200. We’re hearing through private, informal sources that it could be significantly more than that. Thankfully, our efforts to help the people of Nepal will not be hindered by this second disaster. An A300 Airbus carrying over 50 tons of emergency supplies just arrived. The whole team went down to the warehouse tonight to unload the supplies into the warehouse so they can start going out early in the morning to different areas. Tomorrow, we hope to also work in partnership with the U.S. Marine Corps and USAID to move many tons of desperately needed plastic tarp and blankets to people all across Nepal who have been affected by these two earthquakes. Our team covets your prayers for safety, wisdom, and favor. 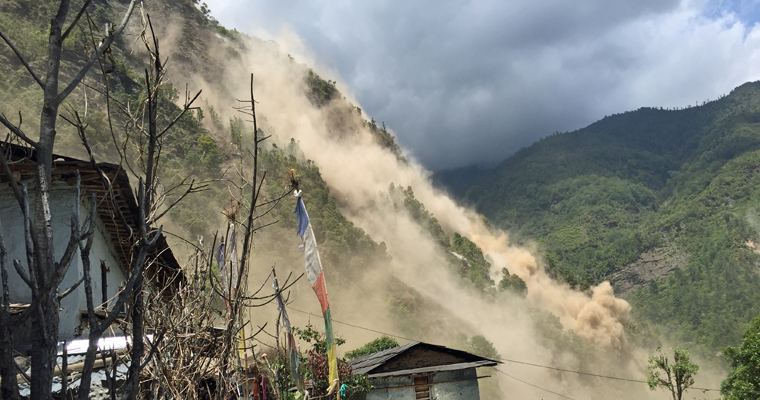 Please pray for the people of Nepal — their suffering is immense and their needs are tremendous.